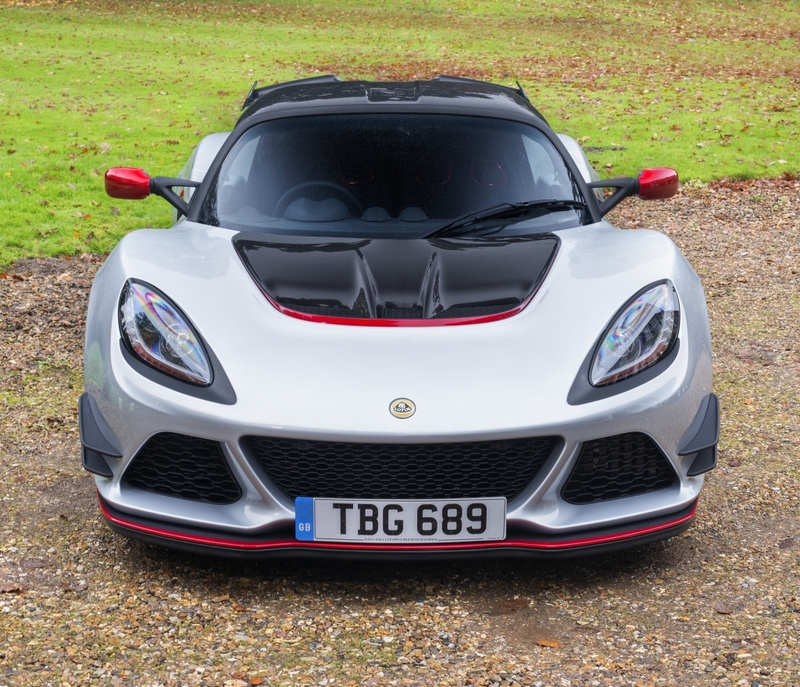 When Lotus released the Exige Sport 350 last year, we can definitely remember our first reaction being, “Oh, it’s not got enough power and it’s too heavy”. Not. Despite the Exige Sport 350 being fast enough to make many full-blown supercars blush, the engineers in deepest, darkest Norfolk obviously thought they could do better and here’s the result of their tinkering: the Lotus Exige Sport 380. Changes to the supercharger, ECU and exhaust (the latter available entirely in titanium) have helped to extract 375hp from the Exige’s 3.5-litre V6, meaning that the little Lotus can now sprint from 0-62mph in a ludicrous 3.7 seconds. Lotus’ ethos has always been about “adding lightness” and, on that front, the Exige Sport 380 doesn’t disappoint, with swathes of carbon fibre, from the front splitter to the racey bucket seats, saving nearly 30kg compared to the previous 350 model. On top of its improved power output and reduced kerb weight, the new Exige Sport 380 has also undergone a raft of aerodynamic tweaks, including a new carbon fibre rear wing, doubling the car’s downforce. While the performance of the new Exige will no doubt leave few disappointed (and all for £67,900, less than the price of a standard 911 Carrera), the same can’t be said for the car’s styling. It’s a little ‘Halfords’, in our opinion. With the critically acclaimed six-speed manual gearbox employed once again though, in combination with the other finely tuned mechanical elements, you’ll probably be able to get over the boy racer looks once you’re behind the wheel though. If Lotus can get you there.